A quantitative analytic approach to trading stocks, ETFs and futures. The OZZ Trading System is delivered to you with complete source code and a PDF file containing detailed instructions and explanation of all trading rules. Nothing is kept secret. If you’re not satisfied with this system let us know within 30 days of purchase and we’ll refund you the purchase price. Uses quantitative analysis to determine trading opportunities. Uses a unique way to identify trading opportunities. Easy to use. Discover and place trades in seconds. Full source code and disclosure of all trading rules. TradeStation Show Me indicator to scan for OZZ signals and for use with RadarScreen. TradeStation strategy, TradeStation indicator and TradeStation workspace. We’ve developed and performance tuned OZZ to run well on daily timeframes. OZZ is parameterized such that it can be tuned by the user to perform well in many timeframes and markets. The default settings are tuned for daily timeframe trading of any S&P 500 instrument such as the SPY ETF, the UPRO ETF or the SnP 500 futures contract ( e-mini commonly the ticker symbol ES ). The SnP 500 index itself can be studied with the OZZ for taking trading signals. In addition we provide a stock trading version tuned for the high volatility of stocks. The following performance results are based hypothetical back testing of the e-mini SnP futures contract. Commission of $5 per round turn plus $25 slippage per round turn are accounted for in these results. The OZZ trading system can be applied to any market including individual stocks. By using the parameters included with the system, we will also show you how you can tune the OZZ system to perform well with the higher volatility of stock markets. Below you will find some example performance reports created using the OZZ trading system applied to individual stocks. The report includes all trades for each stock between 01/01/00 and 11/19/2018. PDF file containing a manual that explains the OZZ trading system in detail including the trading rules. TradeStation ELD file that contains the OZZ trading system. This can be imported into TradeStation simply by double clicking on the ELD file. 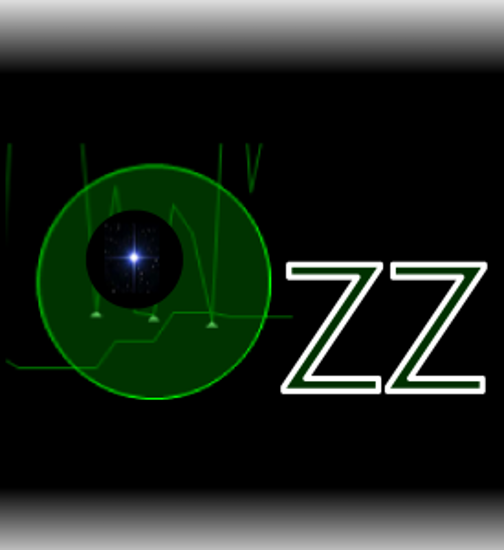 Once imported you’ll be able to run the OZZ system. Once the evaluation period of 30 days expires ( See Refund Policy below ), You’ll receive a second email containing the full source code version of the system. You’ll be able to view the source code and see exactly how the EasyLanguage code implements the OZZ indicators and strategy. A predefined TradeStation workspace that has the OZZ setup and configured in a RadarScreen for stocks and in a chart for the SnP emini. You’ll be able to start using the OZZ immediately. Expect to receive your order within one working day via email. We know you won’t know if this product is right for you until you try it. That’s why we’re giving you the chance to try it without risk. If you’re not satisfied with this product you may return it for a full refund within 30 days of purchase. During the 30 day evaluation period you'll have the fully functioning product. You'll have the manuals that show you how to run the system. The indicators and strategies will be in binary form only ( no source code ) until the evaluation period expires. At that time we'll send you the source code version. If you don't want to wait 30 days for the source code than you may, at any time during the 30 day evaluation period, wave the remainder of the evalution period (including the option to get the refund) in exchange for immediate delivery of the source code. Write us an email explaining this and we'll respond with the source code version. We continue to maintain the products you buy from us after your purchase. We’ll provide you with support and updates for at least one year after purchase. If you have any problems or require any additional information you can contact us for assistance. The OZZ Trading System automatically finds trading opportunities in any market that’s accessible in TradeStation, including Stocks, ETS and Futures. Buy and Sell signals are clearly and precisely identified. The system can be set to automatically execute trades or simply signal you when a trading opportunity exists.